+ four = nine Required Please enter the correct value. The Dow Jones Industrial Average fell nearly 60 points pre-market hours as investors digested increasing economic instability in Europe. Yesterday, a Eurosceptic economist said that Italy would not have its ongoing economic problems if the nation had its own currency. Italy fully abandoned use of the Italian lira in favor of the euro in 2002. Those statements contradicted the Italy's deputy prime minister, who said that he didn't want to depart the European Union or seek a new currency. The debate comes as the United Kingdom is working toward its departure from the world's largest economic bloc in less than 200 days. On Sept. 26, you were introduced to the most talented individual this industry has ever seen. The price of Brent crude oil pushed above $85 per barrel yesterday, its highest level in four years. Analysts are projecting that oil could easily hit $100 per barrel in the next few weeks, as OPEC and Russia continue to focus on pushing prices higher. The recent price rally has been driven by the Trump administration's Nov. 4 deadline for nations to stop purchasing crude from Iran. Gold prices are sitting under $1,200, one week after the U.S. Federal Reserve raised interest rates for the third time this year. However, Money Morning Resource Specialist Peter Krauth has predicted a big bounce for gold prices in the coming months. Just how high will gold bounce thanks to the ongoing geopolitical problems around the globe? Find out right here. Shares of Amazon.com Inc. (NASDAQ: AMZN) are in focus after the company announced it will raise its minimum wage to $15 per hour. The change will take place on Nov. 1. The wage change will affect 250,000 employees. 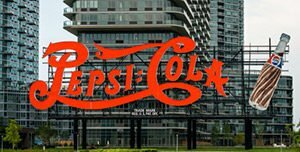 Pepsico Inc. (NYSE: PEP) leads a busy day of earnings reports. The beverage company topped Wall Street expectations with an EPS of $1.59 on top of $16.49 billion in revenue. Those numbers beat consensus forecasts of $1.56 on $16.38 billion in revenue. CEO Indra Nooyi is stepping down this week, but she will remain the chair of the board. Tesla Inc. (NASDAQ: TSLA) announced it produced 83,500 vehicles in the third quarter. The stock has been on a whirlwind in recent days. On Monday, the U.S. Securities and Exchange Commission announced it had settled a case with CEO Elon Musk over his misleading tweets about taking the company private. Musk and Tesla will pay $20 million each, and Musk will step down from his role as chair for at least three years. Look for earnings reports from Paychex Inc. (NASDAQ: PAYX) and Landec Corp. (NASDAQ: LNDC).